San Jose community activist and author Timothy Fitzgerald's new book "'A Diamond in the Rough" reflects on America's worst recession, which occurred in the 1980s. This horrific recession started in July 1981. Unemployment skyrocketed to a whopping 10.8 percent in November 1982 under the Reagan administration. Over 100,000 Americans lost their homes in 1982 and homelessness skyrocketed. Thirty years ago, Timothy Fitzgerald experienced America's worst recession while recovering from a disabling illness. As a young man in his thirties, Fitzgerald remembers its dire effects. People could not find jobs and some were forced to join the ranks of the homeless. San Jose community activist and author Timothy Fitzgerald's new book "'A Diamond in the Rough" reflects on America's worst recession, which occurred in the 1980s. This horrific recession started in July 1981. Unemployment skyrocketed to a whopping 10.8 percent in November 1982 under the Reagan administration. Over 100,000 Americans lost their homes in 1982 and homelessness skyrocketed. "Thirty years ago, I experienced America's worst recession while recovering from a disabling illness," said author and activist Timothy Fitzgerald. "As a young man in my thirties, I remember its dire effects. People could not find jobs and some were forced to join the ranks of the homeless." Fitzgerald continued, "Today, in America's Great Recession, almost 14 million Americans are jobless. We must avoid the failed policies of the Reagan administration and find new and innovative ways to lift Americans from our recurring slumps." Timothy Fitzgerald's new book, "A Diamond in the Rough" is the second volume in his trilogy in which he along with others fight for much-desired urban renewal in San Jose in the 1970s and 1980s. Fitzgerald and his comrades join the working class of Silicon Valley to implement low-income housing and jobs for the working poor. Fitzgerald later runs for San Jose City Council in 1982. 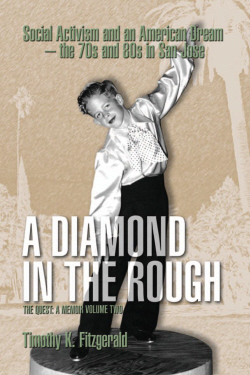 "A Diamond in the Rough" is slated to be released in late March 2011. The first volume of the trilogy, "The Wawona Brotherhood: The San Jose State Campus Revolt," chronicles Fitzgerald's civil rights experiences at San Jose State University during the turbulent 1960s through the early 1970s. This volume was released in 2009. The trilogy notes that from his time as an undergraduate, Mr. Fitzgerald has been a community activist in San Jose for over thirty years. In the 1990s, he ran for State Assembly and was the Vice Chairman of the Disability Advisory Commission of San Jose in 1997. In addition, Fitzgerald was a Green Party state leader for fifteen years. Fitzgerald is enrolled in the over-60 program at San Jose State University as a post-graduate student; and is now completing his third master's degree. He is on track to be awarded this degree in Philosophy in fall 2011. 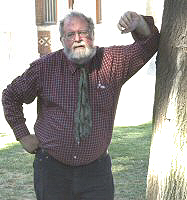 Mr. Fitzgerald has been a guest on American Voice Radio Network's New World Order Disorder, LA Talk Radio's Bipolar Nation, San Francisco radio station KPOO's Community Worker, San Jose radio station KKUP's Silicon Valli Voice and has appeared on San Jose radio station KBAY and Mammoth Lakes radio station KMMT. He also has been interviewed by the San Jose Mercury News, San Jose State Spartan Daily along with the Mammoth Times and Los Gatos Times Weekly. He also recently authored an article for AAboomers.com. For more information about Timothy Fitzgerald, visit his Web site http://www.timfitzgerald.org. For interviews, e-mail timothyfitzgerald97@yahoo.com or call 408.726-9940.